Save £18.00 in this ebuyer daily deal, price is now £24.99. The Corsair Raptor M40 combines performance gaming features with the comfortable responsiveness of an optical mouse. The game tuned 4000 DPI optical sensor delivers accurate linear tracking—with no acceleration or predication—so every movement translates directly into game play. The adjustable weight system lets you fine tune both weight and balance to your playing style. On-the-fly DPI adjustments and seven fully programmable mouse buttons improve response time for faster shots and quicker escapes. Plus the right handed design includes key comfort features such as soft touch finishes, a low-friction braided cable and extended PTFE mouse feet to maximize your gaming experience. Was £441.93, now £339.99. Save £101.94 in the ebuyer daily deal. Save £4.99 in this ebuyer daily deal, was £49.98, now £44.99. TRENDnet’s Wireless Day / Night Cloud Camera, model TV-IP751WIC, takes the work out of viewing video over the internet. Previously to view video remotely, users needed to perform many complicated and time consuming steps: such as signing up for a third party dynamic IP service and reconfiguring their router. The TRENDnet Cloud service removes all of these complicated steps. Users simply open a web browser and log into the TRENDnet Cloud with their unique password to view and manage this camera. A free App for mobile devices brings live video to smart phones and tablets. 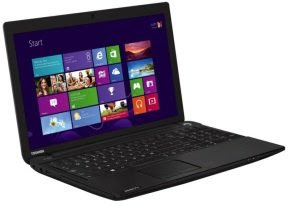 Save £122.50 in this ebuyer daily deal, get it for only £249. With the brand new touch focused Windows 8 operating system and advanced power saving capabilities of the next generation Intel® Atom™ processer Z2760, with burst 1.8GHz., the VivoTab™ Smart offers a true mobile experience. Always stay on, connected and up to date! The SP 201N black-and-white A4 laser printer is bound to increase the printing productivity in your small/home office. It offers high speeds, efficiency and the overall cost-effectiveness of laser printing. Yet it is compact and quiet, fitting unobtrusively on a desktop. Network-ready, it is remarkably quick to warm-up, and speeds along at 22 pages per minute. With the SP 201N, Ricoh brings straightforward black-and-white laser printing to your office. The user-friendly operation panel displays clear instruction menus that are easy to understand and follow. Full-front access speeds up paper loading, toner replacement and maintenance activities. With a short warm-up time of less than 25 seconds and a fast print speed of 22 pages per minute, this device boosts your office productivity. The paper tray takes 150 sheets. Manual duplex enhances productivity and saves paper. This printer incorporates durable parts and has a reliable design. It is set to run and run for years of frequent, every-day office use. The long-lasting, high-yield, All-in-One toner cartridge reduces operating cost. This makes this device an affordable investment for cost-conscious small offices. Its small footprint means that the SP 201N saves valuable office space, and the device operates with low noise levels. You can enjoy seamless network integration thanks to the standard built in Network Interface Card. At Ricoh we help you lower your environmental footprint. The SP 201N features environmentally responsible features such as a short warm-up time and increased toner yield. If you have any questions about the Daily deals at Ebuyer, or would like to know anything else about the Daily deals at Ebuyer, please get in touch and feel free to tell us! This entry was posted in Discounts, Special offers and tagged Computers, Electronics by admin. Bookmark the permalink.